Tea length gown with simple bias-cut is universally flattering and appealing to be a perfect gear for hanging out. Cowl neckline adds on to its graceful yet trendy look. 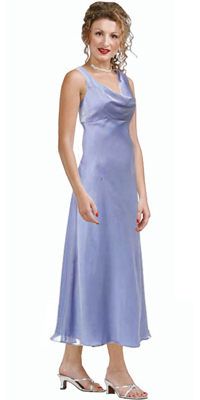 Cleverly designed draped neckline has an inner layer for confident coverage on the dance floor.